Cybercity is a digital marketing agency specializing in internet traffic acquisition and visibility on the Internet and has been operating since 1999. CyberCité will guide you in implementing your overall acquisition strategy while, at the same time, respecting your objectives (KPI). Experts in SEO, sponsored links / Adwords / Bing Ads, Price comparison sites / Marketplace websites, Displays, Social Media, Contents, Conversion / Transformation and Analytics and benefiting from the Google Partner Premier badge, our employees have a strong focus on ROI. 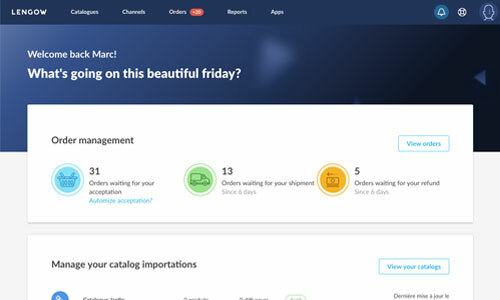 Feed Manager supports e-commerce companies on the major acquisition channels and marketplaces. The product catalogue is key when it comes to online advertising. With 10+ years of expertise in feed management, Feed Manager communicates as finely as possible to find potential customers who are looking specifically for merchant offers. Its expertise is recognized by the largest platforms like Google or Amazon, which makes the agency an European reference. online shopping and brick-and- mortar retail. each client. It has great marketplace expertise and it works in partnership with the majority of platforms. Kaizen Marketing not only supports you in managing your feed management campaigns, but also on the overall strategy for your e-commerce website. Specializing in managing web marketing tools, Kaizen will select the best ways for you to increase awareness and overall performance for your marketing campaigns: SEA, Feed Management (marketplace and price comparison websites), Display (RTB / Programmatic), Affiliation, Emailing, Social media, etc. Kaizen advises its clients on the best tools for analysis, path conversion and attribution/contribution. Nextase is an e-commerce agency specializing in strategic consulting and commercial and technical operational support for brands, wholesalers or resellers on marketplace websites in France and Europe. 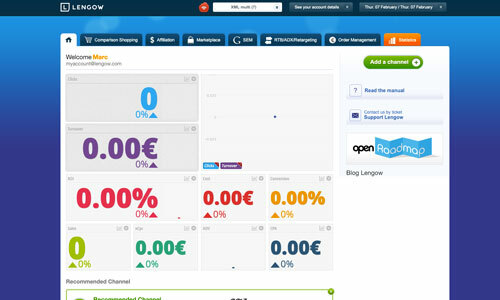 The agency is Lengow certified to create and maintain marketplace websites in a very efficient way. It has an exclusive network of contacts with marketplace websites to develop CA. Performarket is a specialist in integrating product catalogues into marketplace and price comparison websites. Do you want to give your catalogue of products more visibility? The Performarket Team offers a positioning service for your product placed on marketplace and price comparison websites as well as work on optimizing your product flow. Shop & Cow is the first French Agency to offer a support 100% dedicated to Marketplaces. Certified Lengow V2 and V3, the agency provides its customers, brands and merchants, all its expertise on Marketplaces in France and Europe. An e-retail agency founded in 2008, The Other Store is the digital partner with more than 30 leading Fashion, Beauty & Luxury brands. OS assists retailers in all new consumer trends, e-commerce, omni-channels and marketplace websites. This 360 ° expert will be by your side in developing your e-commerce, helping you to transfer your brand’s DNA onto the web while using the latest innovations including cross-channel marketing and responsive design. Since 2010 VNC Online has been helping its clients using 4 web marketing tools: Marketplace, Google Shopping, Price comparisons, Facebook Dynamic Ads. Our aim is to develop your internet sales, by implementing a true strategy to boost sales, master your brand image while keeping a firm focus on ROI. Our different certifications (Lengow, Google Partner), combined with CMS Magento and Prestashop, enable us to support our customers from start to finish. The YouzWeb team offers you a service to help you best position your products on marketplace websites. This e-marketing agency on a human scale is Google and Bing certified and perfectly masters all key Digital Marketing tools. Their expertise will help enable you to work towards achieving your revenue targets through natural and paid SEO, marketplace websites, price comparisons websites, web analytics and more.